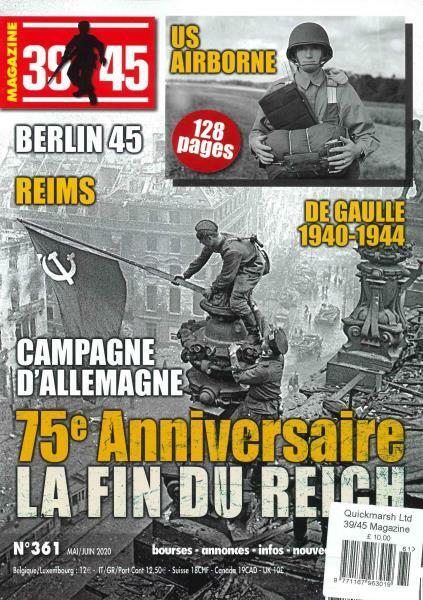 39/45 is a bimonthly French magazine dedicated to the period of the Second World War, first released in 1983. Buy a single copy or subscription to 39/45 magazine. 39/45 presents files, reports, testimonies, and portraits on the battles in the Second World War. Each issue features articles written by historians and collectors focusing its topics on battles, military units, equipment and more. Learn about all the events that took place during the Second World War!